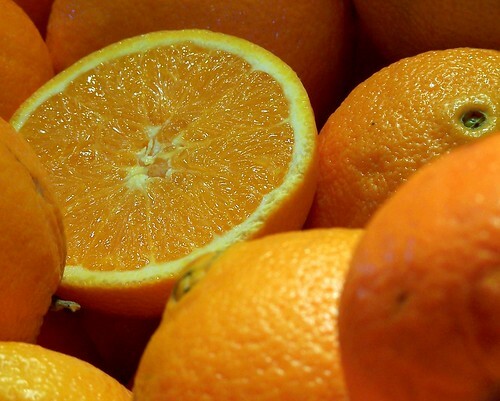 A good photograph of something you know will conjour a memory of that item, for example, “Citrus,” above. Pretty much everyone has peeled open an orange and felt that initial spray of fine citrus oil on their hands: the oil that seems to seep into your skin and stay with you the day through. And then there is the taste that is sweet and a little sharp and tangy at the same time. You know what that orange will smell and taste like just by seeing its picture. But the memories that photos harken may be of times that were simpler or happier. This photo was taken May 1st, 2010. It was one of the last before I upgraded from a 4 mp camera to a ten. The summer was ahead of us. And now it’s October 2nd. There was a chill rain this morning, and the smell of wood smoke was in the air. The trees are starting to turn orange and yellow.